Lakeville, MN, February 7, 2017: Learners Edge announces the addition of a new academic partner expanding the reach of continuing education courses for teachers throughout the state of California. While Learners Edge courses have been used by teachers throughout California, a partnership with highly respected University of the Pacific will expand teacher choice and further meet their professional development needs. Learners Edge offers over 120 continuing education options. Courses are designed for PreK-12 educators addressing many of today’s educational needs including curriculum focused upon Autism, Literacy, English Language Learners, At Risk Students, and Bullying. Courses are self-paced and able to be completed without having to step foot on a college campus, providing the flexibility that busy teachers need as they dedicate their time and energy to their classrooms. University of the Pacific is well known for its Benerd School of Education and also offers multiple Master of Arts (MA) in Education programs along with Doctoral Programs. Enhancing the University of the Pacific’s wide-range of Professional Development offerings through its Center for Professional and Continuing Education will meet the needs of new and experienced educators looking to expand their knowledge base. 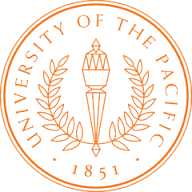 California teachers interested in exploring and registering for continuing education graduate credit through University of the Pacific should visit the University of the Pacific academic partner page. About Learners Edge: Learners Edge has been committed to helping teachers reach the highest level of success in their classrooms and in their careers since 2002. Offering over 120 self-paced, continuing education courses for teachers across the country and around the world, Learners Edge is continually working towards its mission of improving the quality of teaching and learning.